If you have never been to the Deming Luna Mimbres Museum you have really missed a treat. It is one of the most fabulous museums I have seen anywhere and for a small town this is a real gem. 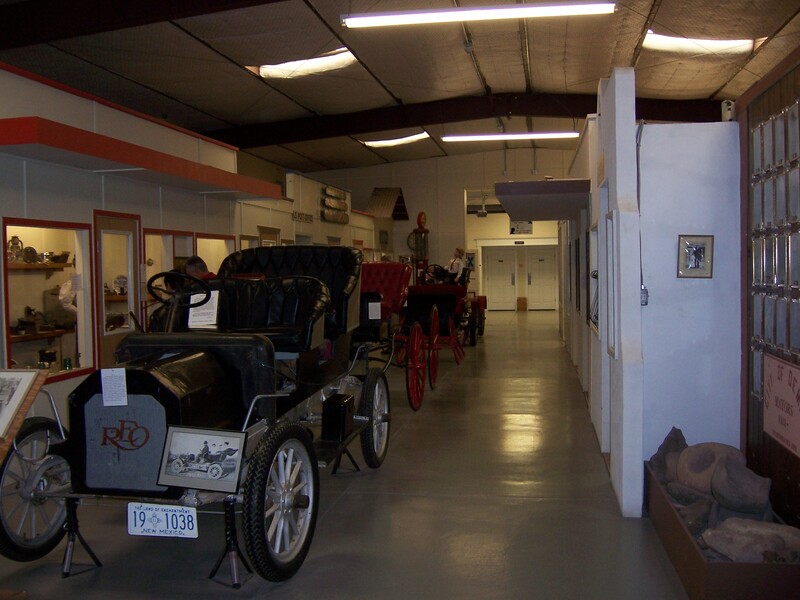 All the items in the museum were donated or on loan to the museum by residents of the Deming area. They have a large collection of items affiliated with the Mimbres Indians. Upstairs they have huge collections of thimbles, earrings, medical equipment, office equipment, etc. Downstairs they have about anything you can think of including a huge collection of gems, liquor bottles, assorted cowboy stuff, cars, fire engines and lots more. 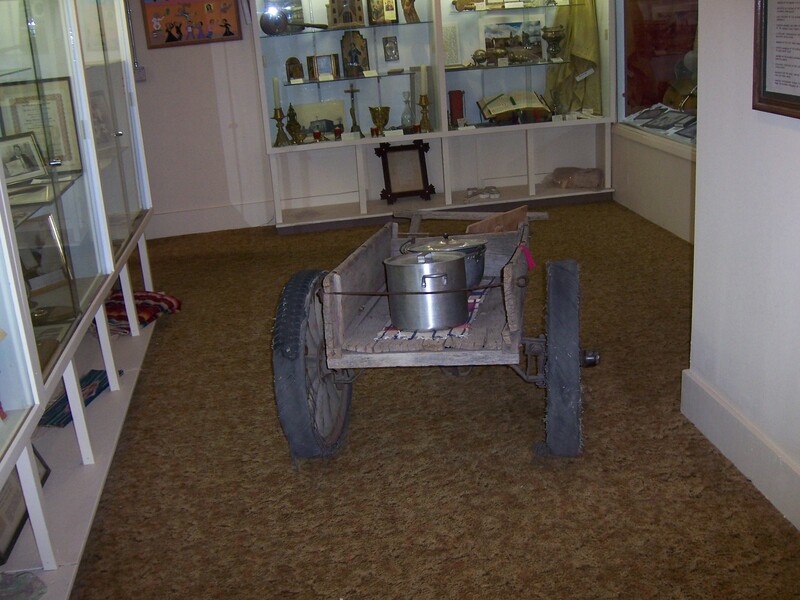 This is one of the Spanish carts that used to serve food on the streets of Deming. A fast food joint on wheels. Next this really brought back a lot of memories. When I was growing up in Detroit, MI my father’s occupation was repairing typewriters. His shop was in the basement of our home. He taught me how to dismantle a typewriter to be overhauled. I worked on many typewriters similar to this one. 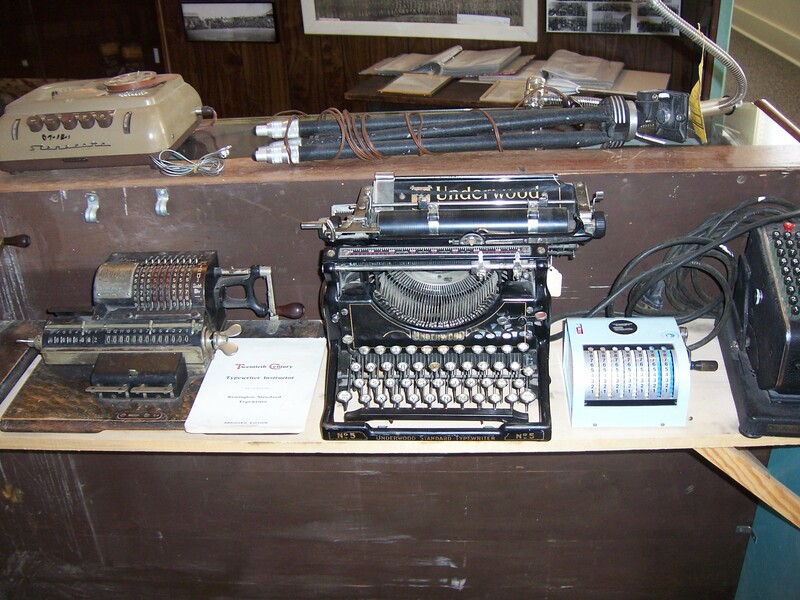 Now typewriters are a thing of the past being replaced by computers and printers. 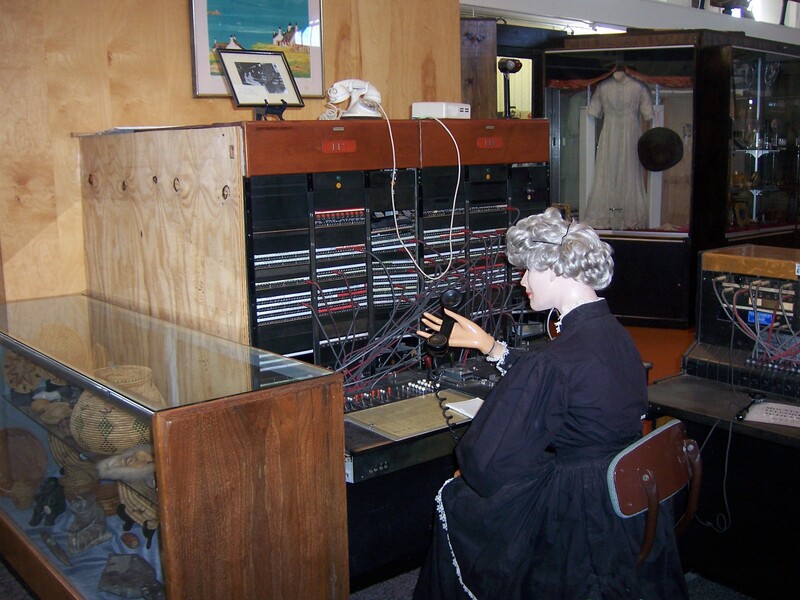 An old-time switchboard with it’s operator. I am sure she listened in on many conversations. 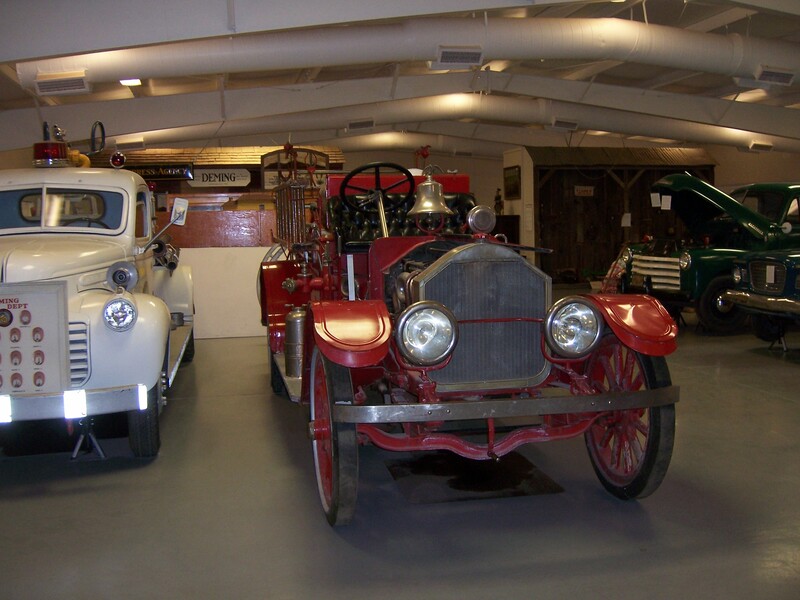 This is a very old fire engine that was used in Deming. Still in very good condition. Next a display of some very old automobiles. Kids growing up in the 50’s would really enjoy seeing this display. 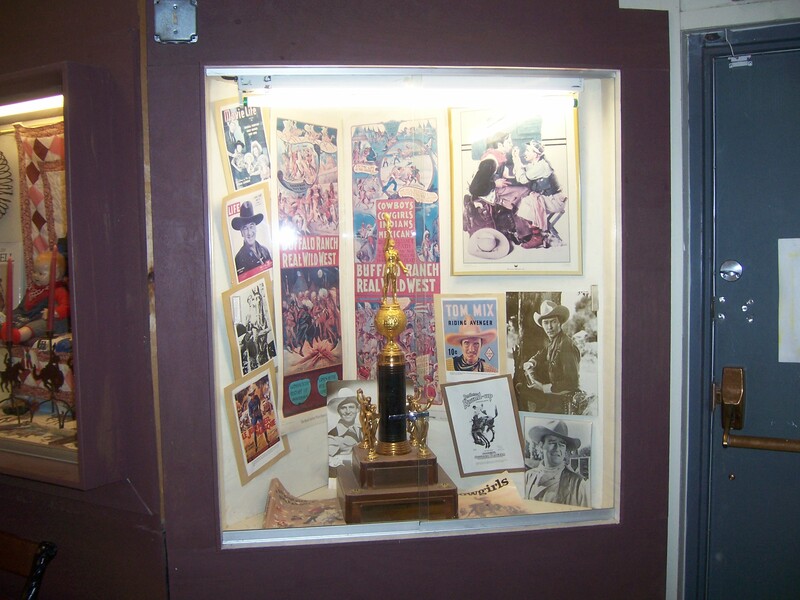 It was all the old cowboy stars – Tom Mix, Hopalong Cassidy, Roy Rogers. I remember watching them all on our 10″ TV on Saturday mornings. 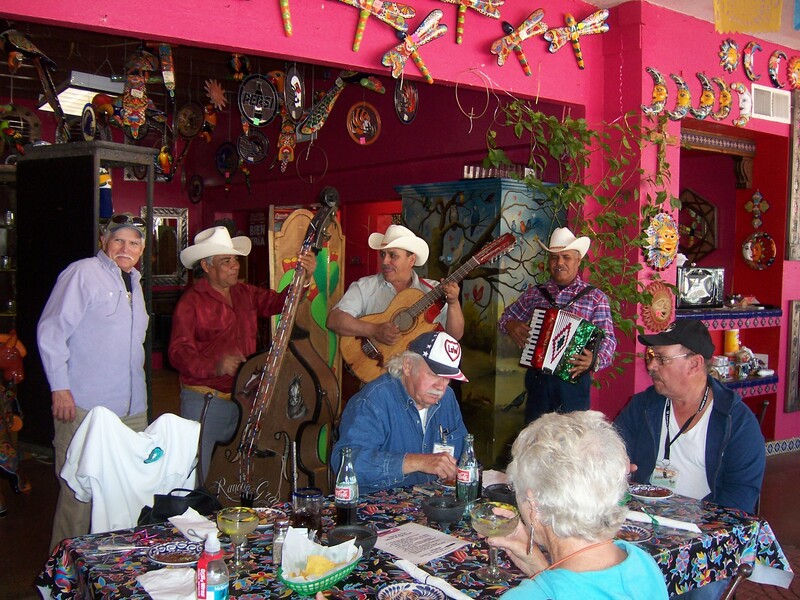 Then a group of us went from the museum down to The Pink Store in Palomas, Mexico. 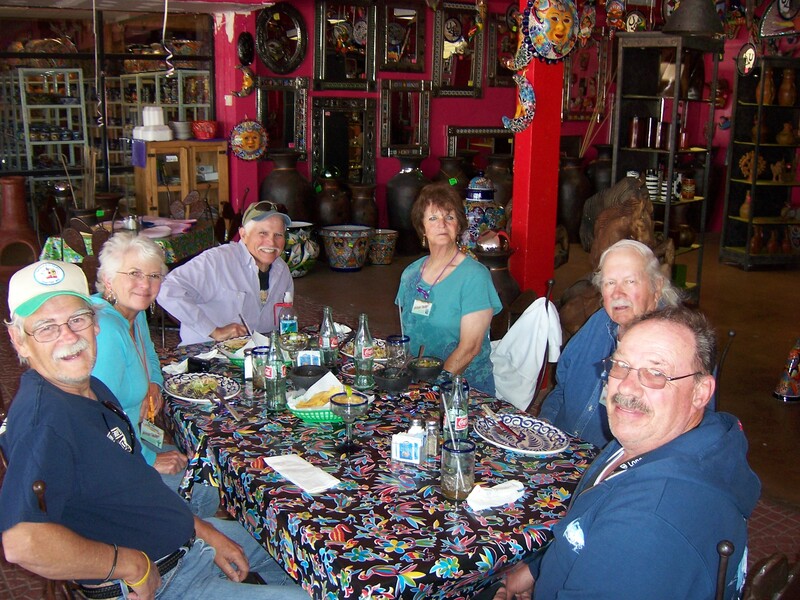 We had a great time eating delicious Mexican food, drinking margaritas and then shopping after lunch. This is a pic of us being serenaded by a mariachi band. Here is a pic of the motley crew. I am usually not in many pics on my blog so if you didn’t recognize the handsome gentleman on that left that is me. It was a long but fun day. I could have probably spent more time in the museum and had one less margarita, but duty called. This entry was posted in Mexico, My Friends, Palomas, The Pink Store by Jim Melvin. Bookmark the permalink. I think you like the Pink Store. You have spoken of it previously. Continue to enjoy you handsome devil!